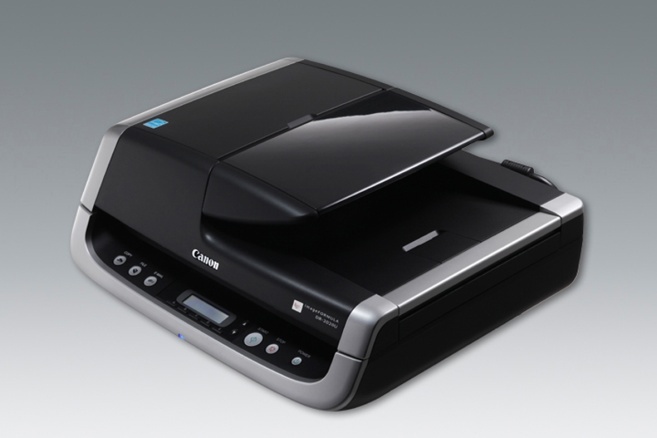 No matter what the size of an organization, a scanner in the office is a useful tool. From small assets like business cards to critical essentials like tax records, scanners enable the conversion of paper documents into electronic format and pave the way for going paperless. High volume production scanners are able to scan unlimited documents, going up to 140 pages per minute (ppm) or even further. Departmental scanners can be used in large sized organizations, which usually handle a sizeable volume of paperwork. 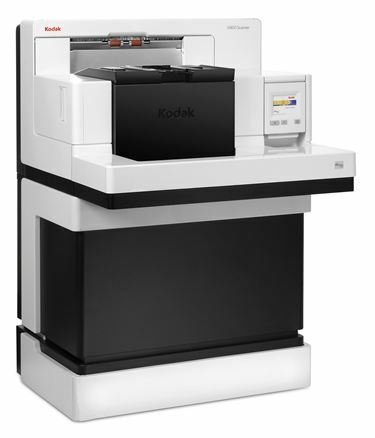 The speed of these scanners ranges between 40 ppm and 100 ppm approximately. For small- or mid-sized businesses, a workgroup scanner may be a worthwhile purchase. The speed ranges from 20 ppm to 70 ppm approximately. Network scanners allow transactional capture and the document once scanned can be routed to the appropriate department or business application. 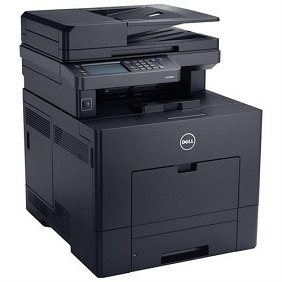 Multi Function Printers (MFPs) combine the functionalities of a scanner, printer and copier together in one package and are ideal for small organizations with ad-hoc capture needs. Some of the models also have fax and email capabilities. 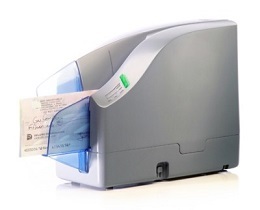 Check scanners are ideal for organizations in BFSI or retail. Buying a scanner could solve many business requirements, but high-end models require a considerable amount of investment. Before arriving at a decision, businesses should give some thought to a few criteria to determine the make that is best suited for their needs. 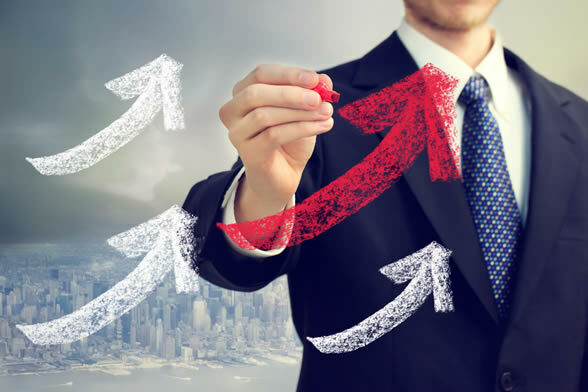 According to a whitepaper titled ‘Free the MFP’ by AIIM, an association for the Enterprise Content Management (ECM) community, the document capture needs of businesses usually fall in three categories: ad-hoc, batch and transactional. Ad-hoc capture refers to low volume scanning on a demand basis. Batch capture involves the scanning, conversion and routing of an immense number of documents, which could go up to thousands per day. 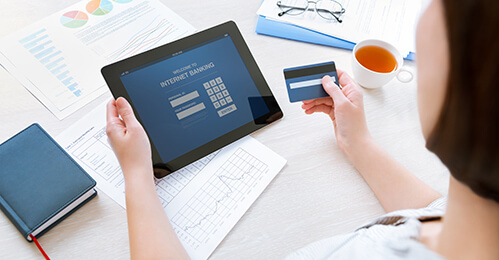 Transactional capture allows the integration of information from scanned documents with business applications; for example, extracting information from insurance claims to validate it against the database. Zeroing in on a scanner should ideally be based on the nature of business of the company and the corresponding requirement. For instance, production scanners are useful for organizations that have to digitize thousands of medical records or forms related to mortgage, taxes, claims and applications, and for the digital mailroom. 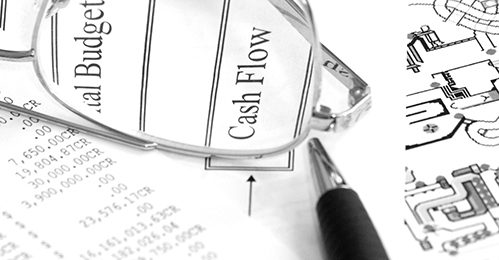 Workgroup scanners add value to smaller organizations that have to scan invoices and purchase orders. Pages per minute (ppm) is a measure used for simplex scanners and images per minute (ipm) is used for duplex scanners. In the e-book ‘8 Things You Need to Know About Getting Rid of Paper’ by AIIM, it is advised that the higher spectrum of speeds is only required for very document-intensive business operations. 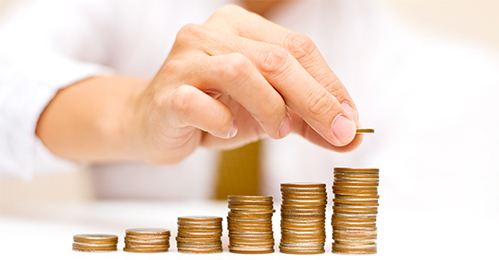 The needs of most companies would be satisfied with the lower to mid-range of scanner speeds. Speed is related with duty cycle, which refers to the number of pages a scanner can process per day comfortably without any issues. A high-speed scanner with a low duty cycle will not be able to process high volumes of documents. According to an article on Macworld.com, a duty cycle of 500 pages per day is sufficient for small office use, and a greater duty cycle is needed for organizations that need scanning of thousands of documents every day. 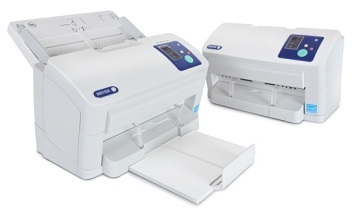 Scanners come in four feeder types: flatbed, sheet fed, manual and Automatic Document Feeder (ADF). PC Mag recommends a flatbed scanner if a company has to scan photos or fragile originals, bound materials and 3D objects (rendered as 2D images). 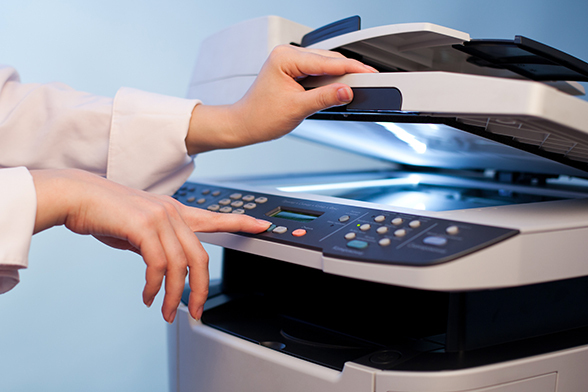 Sheet-fed scanners process regular documents easily and can scan both sides of the page as well. Manual sheet feeder is sufficient when only one or two pages are scanned at a time, whereas ADF helps while scanning stacks of paper documents. Some of the scanners combine both flatbed and ADF features. The North Carolina Digital Heritage Center, a statewide program for digitization and digital publishing of historic materials, uses different scanners in its work. Large maps are scanned on digital scanning backs, photographs are scanned on a flatbed scanner, newspaper articles are scanned on a high volume sheet-fed scanner, and the original text pages of old books are digitized through a book scanner. Scanners can digitize documents of different sizes and materials. 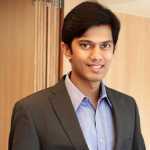 Companies have to evaluate the size of documents which are going to be scanned and then match document characteristics to scanner capabilities. It is also recommended that companies consider the type of paper (whether copy paper, card, carbon copy, thin, or transparent) to be scanned to ensure minimal jams in the scanner. In practice, A3 scanners are preferred by most organizations. Simplex scanners scan only one side of paper, while duplex can scan both sides of the page at the same time. Some duplex scanners with a flatbed design require two moves of pulling the paper to complete the scan. Macworld points out that this two-pass process will increase scanning time. If the scanner manufacturer’s brochure says the ipm speed is exactly twice the ppm speed, the scanner will be a single-pass duplex model. Connectivity is the ability of scanners to dispatch the image or PDF over a wired or wireless network to a network folder, email, FTP server, fax machine, printer, the cloud or enterprise content management application. Network scanners provide this feature, typically through an Ethernet or a LAN network adapter. Resolution refers to the quality of the scanned documents and is measured in dots per inch (or dpi). If the resolution is better, the image quality will also be better, but it will take longer to scan. As suggested by industry experts, for images meant for screen display, 72 dpi is adequate. 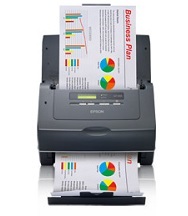 For scanning a document, 150 dpi should suffice, while 200 dpi can be used to scan bar charts and newspaper clippings. For optimal quality printing, 300 dpi or 600 dpi is required. For large printouts, 1200 dpi and higher should be used, though these require more storage space in the system. Optical and output resolutions should also be considered while scanning. Optical resolution refers to the actual resolution of scanner, whereas the output resolution can refer to maximum resolution which can be achieved after some pixel adjustments. As PC World puts it, scanners have evolved over time and they now come in smaller, more mobile forms, while still managing to work their way through a number of pages. The weight of the machine and how it powers up need to be evaluated before making the purchase. 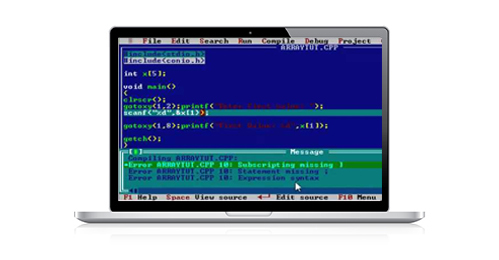 Optical Character Recognition (or OCR) helps to convert typewritten data into an electronic format, while Intelligent Character Recognition (or ICR) converts handwritten data into a digital format. These tools will help companies when they need to search or edit the scanned documents. For healthcare coverage providers such as Hawaii Medical Service Association (HMSA), OCR technology in scanners that are deployed in the claims department allow records to be created as electronic documents and not just images. These can then be modified, searched, used in databases and stored in medical record systems. In conclusion, along with all these points of consideration, companies can also look for other features like scan modes, the compatibility with different operating systems, the drivers and the output format. 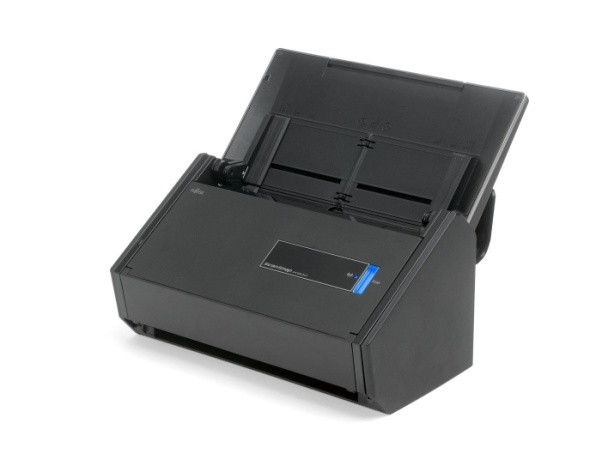 Some of the latest scanners also have the ability to perform image enhancements, remove blank pages, detect double-feeds and miss-feeds, straighten twisted pages, scan hard card inputs like ID cards and driver licenses, scan fingerprints and so on. 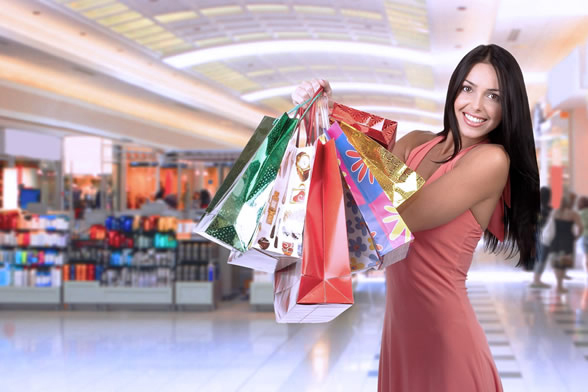 Cost could also be a big factor, but if the apt scanner for the business is selected, the return on investment from digitized, streamlined data will make it well worth the spend.